Bangladeshi leaders of different faiths hope the upcoming visit by Pope Francis will promote harmony and tolerance in this Muslim-majority nation. However, one hardline Muslim group warned it would protest if the pontiff said or did anything "unexpected and unacceptable." The Nov. 30-Dec. 2 visit will be the third by a pope to the populous, impoverished country. Pope Paul VI made a 1970 stopover lasting a few hours in then East Pakistan (now Bangladesh) to express sympathy for victims of a devastating cyclone. Pope John Paul II came to independent Bangladesh on Nov. 19, 1986. During his forthcoming trip to the capital, Dhaka, Pope Francis will meet Prime Minister Sheikh Hasina and President Abdul Hamid as well as members of the diplomatic corps and civil society. He will pay respects at two national memorials. The pontiff will celebrate Mass for more than 100,000 people in Dhaka, where he will ordain 16 deacons to the priesthood. He will attend interfaith and ecumenical gatherings and also call at a home for the destitute run by the Missionaries of Charity, the congregation that St. Mother Teresa of Calcutta founded. The hardline Bangladesh Hefazat-e-Islam (Protectors of Islam) group has pushed for rigorous implementation of an anti-blasphemy law, execution of atheists, Islamization of school textbooks and removal of idols and statues from public places. The group has also attacked what it sees as Christian evangelization in some areas. A senior Hefazat leader welcomed the Pope coming to Bangladesh, but said he would closely monitor the visit. "Pope Francis is the supreme leader of Christians and head of the Vatican state, so we welcome him in our country," Mufti Faizullah, a joint secretary of the group, told ucanews.com. "We will be closely watching what he says and does during the trip. "If we find anything unexpected and unacceptable, we will protest and issue statements if necessary." The pope’s visit will celebrate a 46-year Vatican-Bangladesh relationship, said Cardinal Patrick D’Rozario of Dhaka. The Vatican was among the first states to recognize Bangladesh after it gained independence from Pakistan in 1971, followed by full diplomatic relations through appointment of an apostolic nuncio in 1973. The relationship was based on universal values such as compassion and human dignity, transcending ethnicity and politics, Cardinal D’Rozario told ucanews.com. The prelate noted past international expressions of sympathy when Bangladesh suffered from natural disasters as well as tragedies such as the 2013 Rana Plaza collapse that claimed more than 1,100 lives. 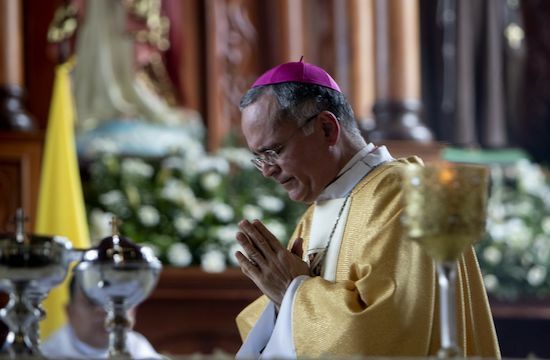 "I have seen the joyful feeling in people, who are eager to have an encounter with the leader who is a symbol of unity of the church," Cardinal D’Rozario said. "They will flock in droves as pilgrims to see him as equal to seeing Christ visible in the world." Maolana Fariduuddin Masoud, president of the liberal Muslim group Bangladesh Jamiyat-ul-Ulema (Council of Clerics), said love and hospitality will be highlighted during the visit. "Pope Francis is a saintly figure and a global leader, so people are honored to have him in Bangladesh and they will offer him overwhelming love," Masoud told ucanews.com. Bangladesh’s pluralistic and tolerant image has been tainted by a lethal rise of Islamic radicalism in recent years. Since 2013, Islamic militants have murdered some 50 people including atheist bloggers, writers and publishers, gay activists, liberal Muslims, religious minorities and foreigners. 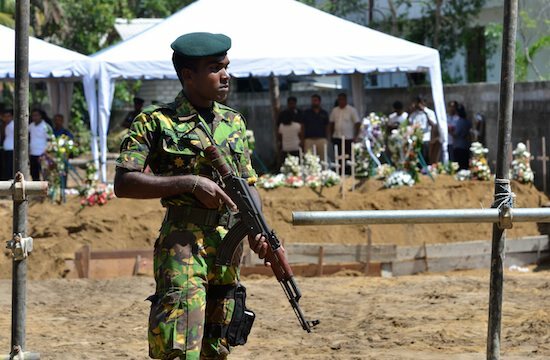 A government crackdown saw about 70 militants killed and dozens arrested. However, little has been done to combat radical ideology fuelling violence, including through promotion of interfaith dialogue. Rana Dasgupta, a lawyer and Hindu leader in Dhaka, says the pope might look at lapses in Bangladesh’s battle against extremism. "Extremist wanted to attack the heart of the nation — our pluralism and harmony; so they killed people who held liberal or critical views on religion or adhere to other faiths," Dasgupta told ucanews.com. "This extremist ideology is not part of our culture, but little has been done on this front to present a counter ideology. "Pope Francis has been soft on Islam, refused to associate it with terrorism and called for dialogue between religions to combat violence and extremism." Dasgupta said the Bangladeshi government had tried to promote dialogue and harmony, but had not done enough. "Maybe the pope can offer some guidance on how best dialogue can be used for harmony and peace," he said. Ashoke Barua, a Buddhist leader, said the papal visit would be a boon for religious harmony. "Pope Francis’ trip will reinvigorate religious harmony and bring people of all faiths closer," he said. "It is also a great opportunity to present Bangladesh’s goodness to the world." Cardinal D’Rozario said that despite recent setbacks, the pope would realize the nation remained committed to harmony and peace. "Our nation is like a river," the cardinal said. "Sometimes you see strong currents fueled by strong winds, but at the riverbed there is calmness. "And this comes from the basic religiosity and pluralism of people." Bangladesh is struggling to cope with a refugee influx triggered by violence against Rohingya Muslims in Myanmar. The pope is expected to take up the issue publicly or privately. Cardinal D’Rozario noted that Bangladesh had lived up its "traditional values" by accepting fleeing Rohingya. "The pope is coming for harmony and peace, not for just Rohingya but for all," he said. "He is not coming to solve any problem, but he will surely have a message for them and for everyone." The cardinal noted that the Rohingya crisis had similar elements to violence against marginalized communities around the globe, including where "big world powers" are involved. "The pope will not just talk about Rohingya, but other persecuted people and maybe he will be critical of those who ‘shed crocodile’s tears’ for Rohingya but not for others, like Christians in the Middle East," the prelate added. Moderate Muslim Maolana Masoud said the pope might not provide a solution for Rohingya, but he could still give them hope. "Hopefulness is a sign of living, so Rohingya came to Bangladesh because they wanted to live," Masoud said. "These persecuted people know Pope Francis cares and sympathizes with them."